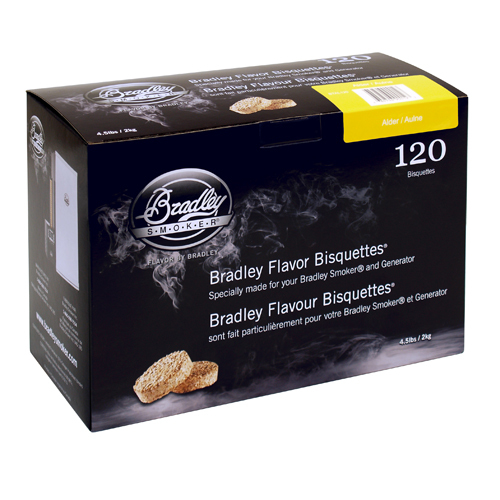 Bradley's Apple Bisquettes 120 Pack are rendered from natural hardwoods without additives, producing a clean smoke flavor. The smoker consumes bisquettes at the rate of approximately one every 20 minutes. 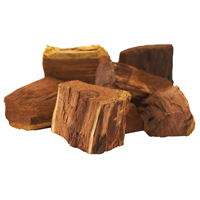 Apple imparts a sweeter, milder smoke flavor, commonly used with poultry and wild game meat. 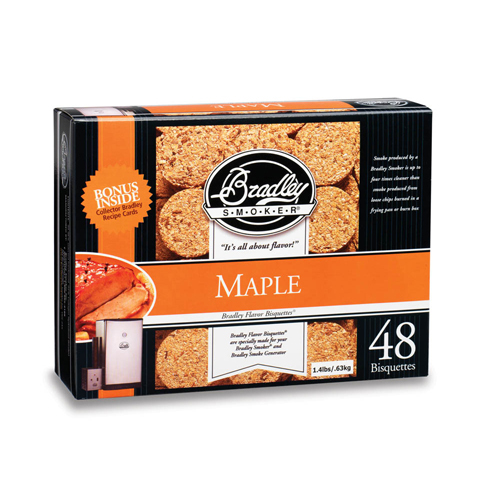 Bradley's Maple Bisquettes 48 Pack are rendered from natural hardwoods without additives, producing a clean smoke flavor. 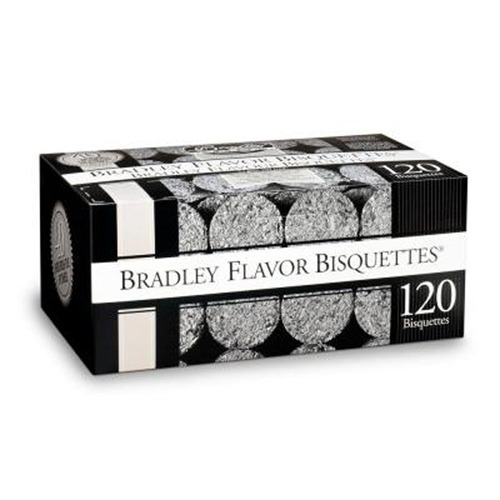 The smoker consumes bisquettes at the rate of approximately one every 20 minutes. 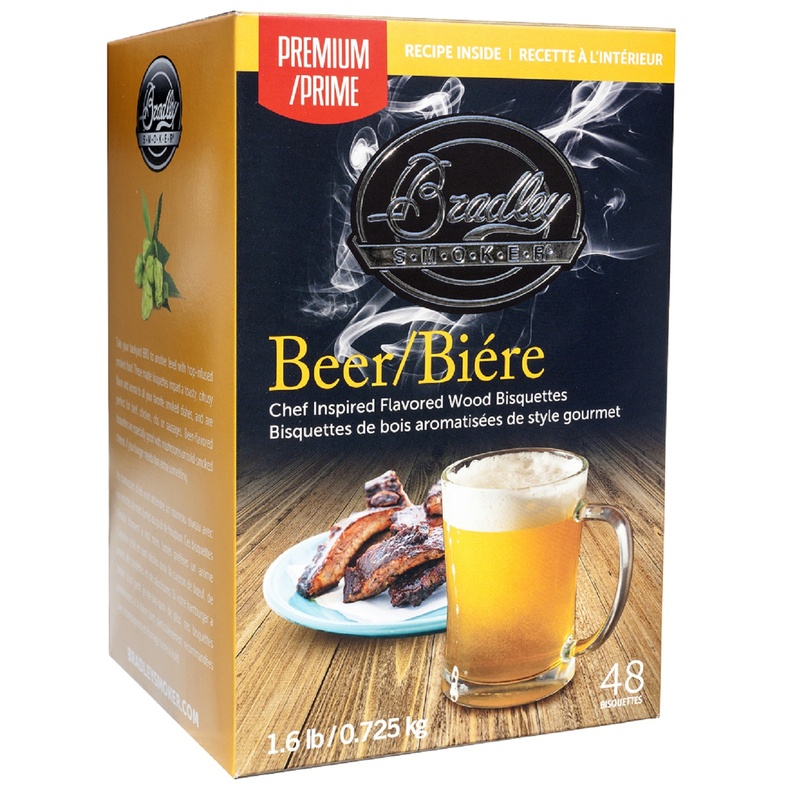 Maple gives a rich and distinct flavor commonly used with seafood, hams, and bacon. 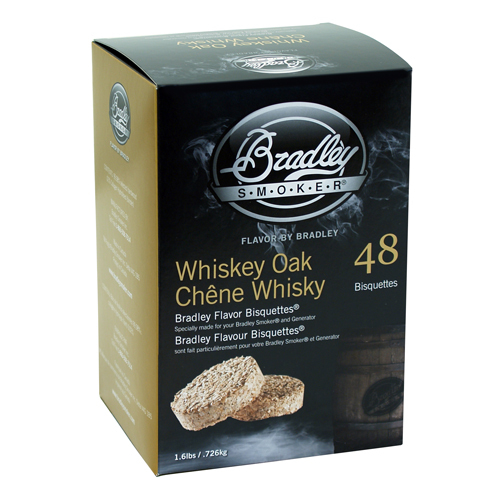 Bradley's Special Blend Bisquettes 48 Pack are rendered from natural hardwoods without additives, producing a clean smoke flavor. 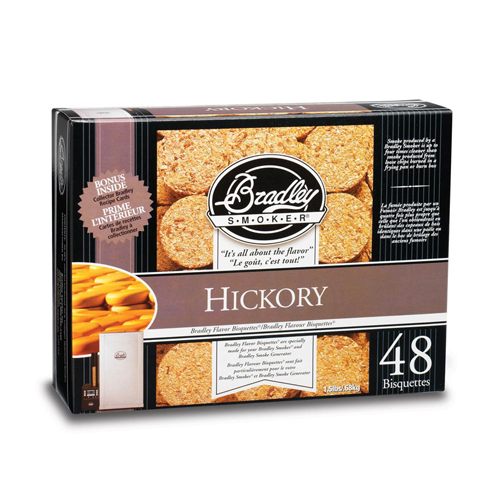 The smoker consumes bisquettes at the rate of approximately one every 20 minutes. 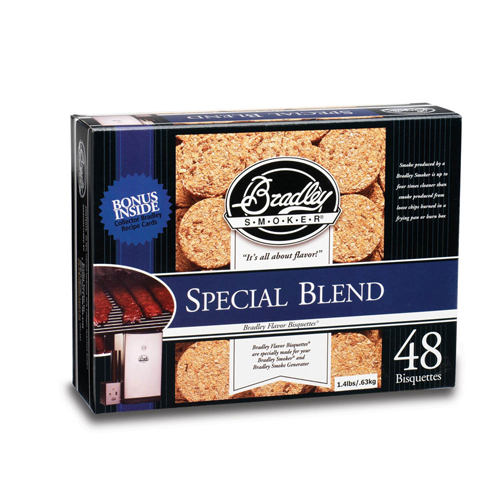 The Special Blend is a specially formed blend with a distinct flavor that is mild enough for any dish. Finally you can get the smoky flavor you love into your favorite meat, seafood and vegetables with the AmeriHome Stovetop Kettle Smoker. 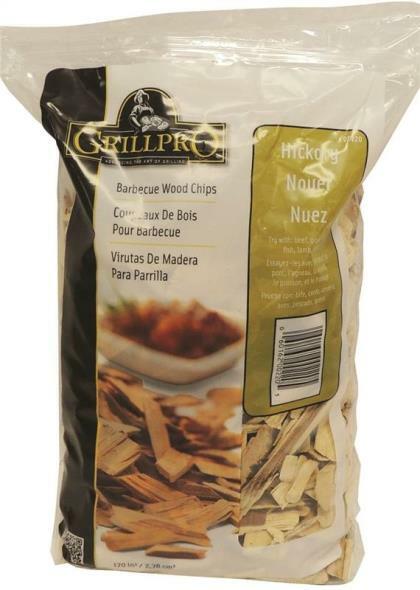 Add a pinch of your own wood chips for a smoky flavor, and roast until tender using the wet or dry method. 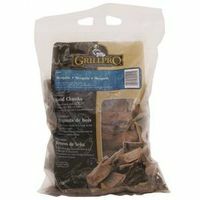 Make great tasting smoked game, ribs, and fresh fish. The Kettle Smoker can handle up to 5 pounds of food at the same time, allowing you to smoke and cook an entire meal for your family in one pot. The non-stick roasting pan makes clean-up a breeze. 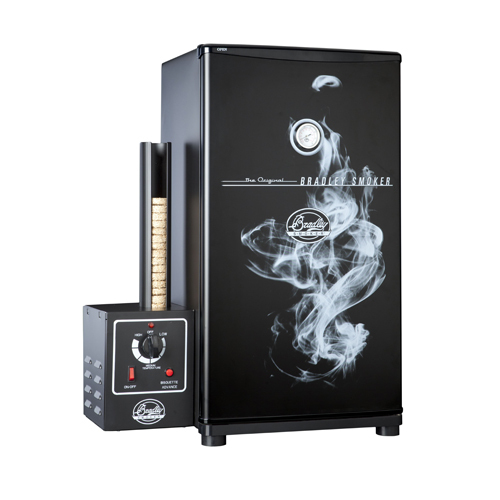 Use the Smoker on gas, electric or glass top stoves. 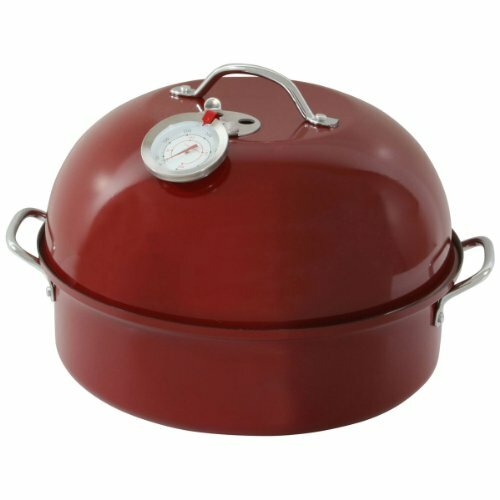 The enamel coated roaster has an adjustable vent and meat thermometer that you can read without lifting the lid so your food cooks perfectly every time. 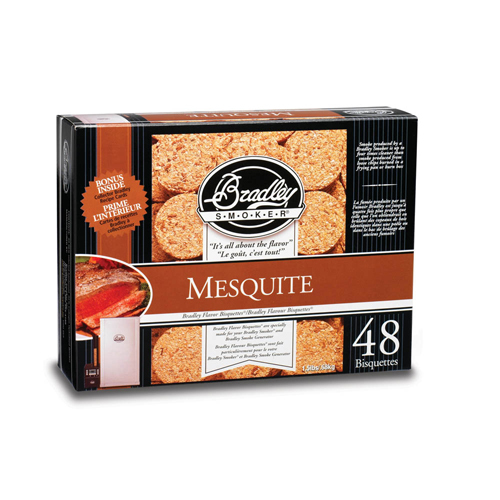 Bradley's Mequite Bisquettes 120 Pack are rendered from natural hardwoods without additives, producing a clean smoke flavor. The smoker consumes bisquettes at the rate of approximately one every 20 minutes. 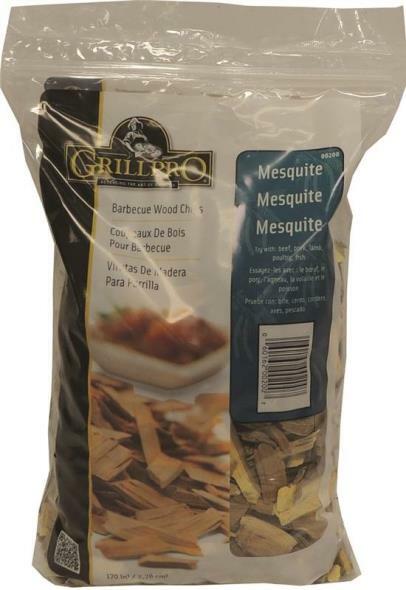 The stronger and very distinct flavor of mesquite is commonly used for smoking beef, game meat, and pork products like pork shoulders and beef brisket. 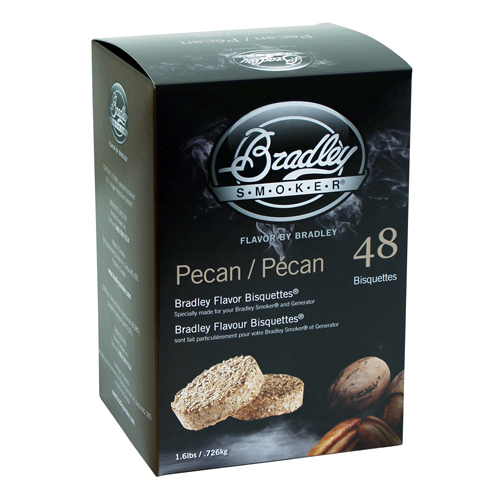 Bradley's Pecan Bisquettes 48 Pack are rendered from natural hardwoods without additives, producing a clean smoke flavor. The smoker consumes bisquettes at the rate of approximately one every 20 minutes. Pecan is a winner with wild boar, pork, beef, and venison poultry. Bradley flavor Bisquettes are rendered from the natural hardwoods, without additives. Tests held by the British Columbia Institute of Technology have demonstrated that Bradley flavor Bisquettes produce smoke four times cleaner than smoke produced by identical chippings burnt in a fry pan or burn box. 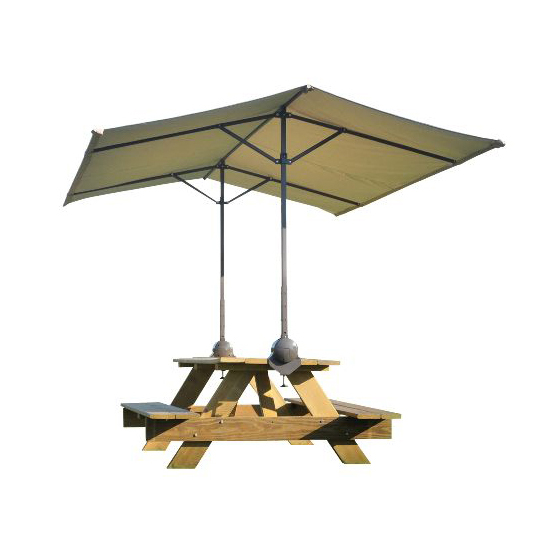 It's our unique way to let you taste the great outdoors. 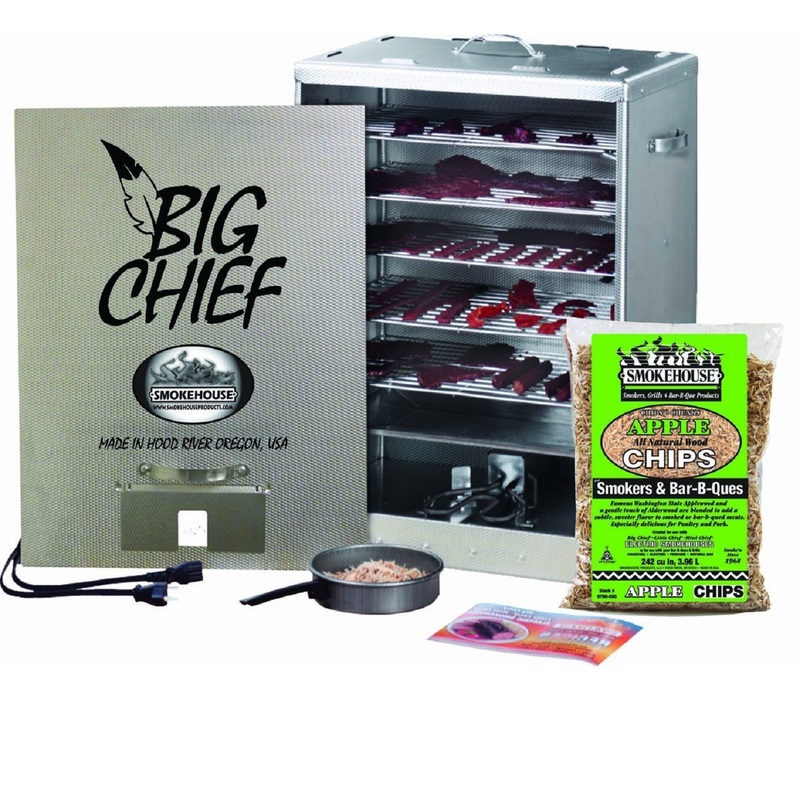 The Big Chief Front Loading Electric smokers allows you to smoke up to 25 or 50 pounds of meat or fish respectively without relying on coals or fire. 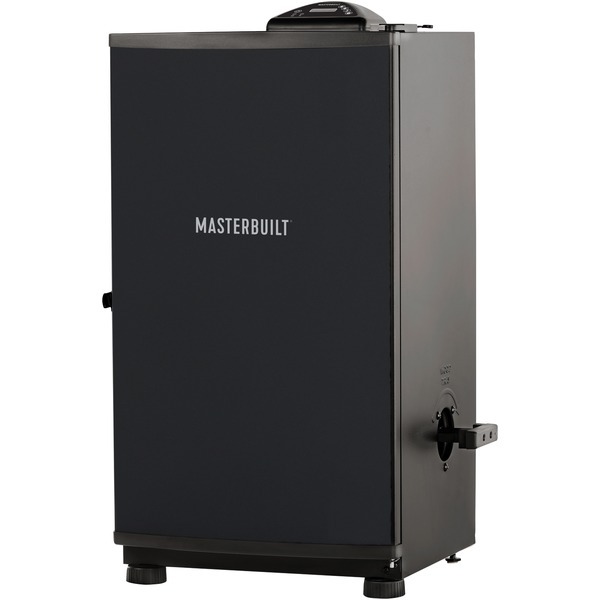 The self-contained, electric powered smoker is equipped with a heating element that holds a steady heat of 165 degrees Fahrenheit for slow-cook smoking. 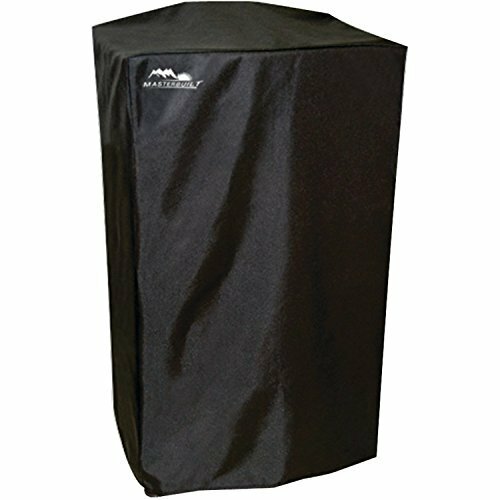 The durable, aluminum smoker is equipped with a maximum capacity flavor fuel pan to imbue your food with the smoked flavor you choose and is vented for proper dehydration. 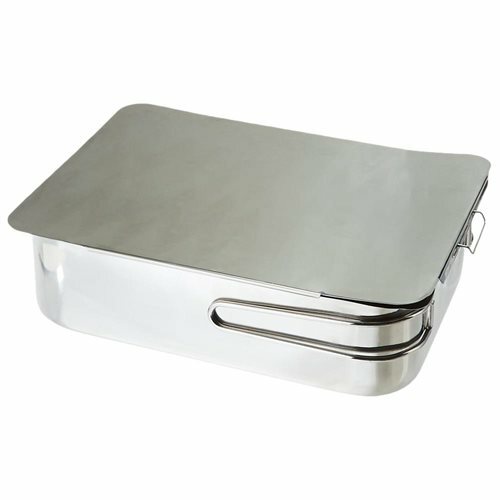 The easy-slide chrome-plated grills load and unload with ease from the front, like a typical oven. 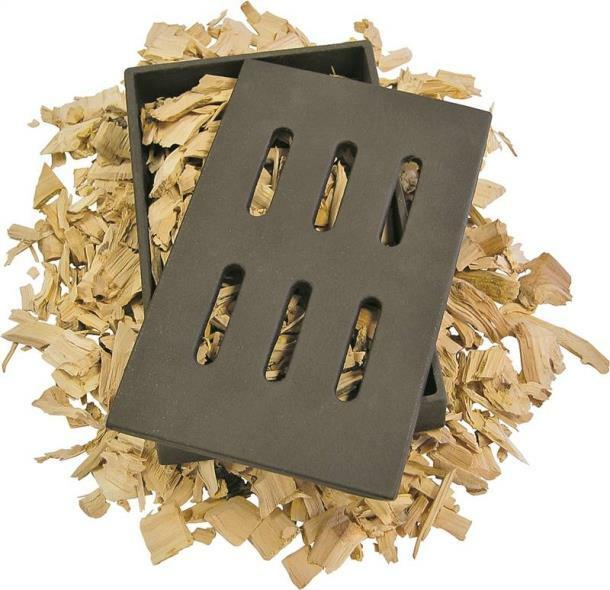 With a dishwasher safe drip pan at the bottom of the smoker, cleanup is easy. 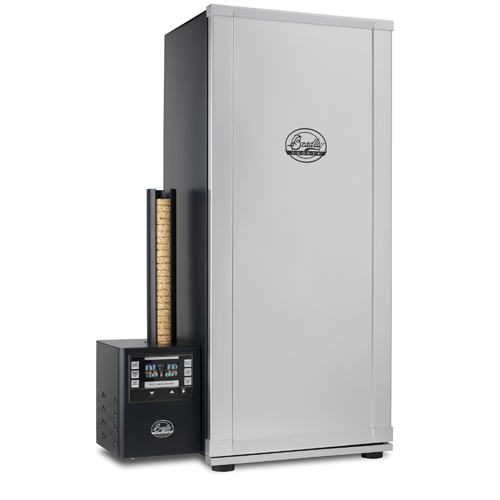 The smoker comes complete with a Smokehouse recipe and instruction booklet to get you started and a bag of Chips n' Chunks wood fuel in hickory flavor. 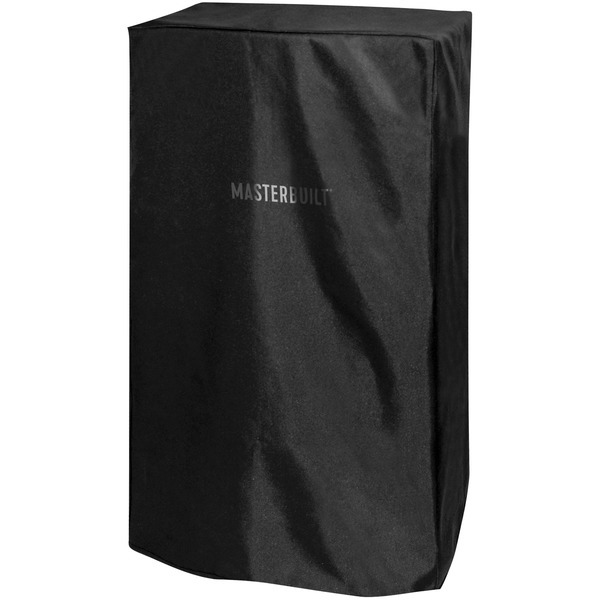 The smoker is designed and intended for outdoors use only, and requires no assembly. 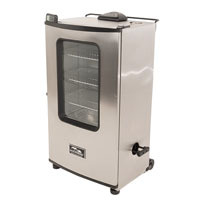 The Bradley Original Smoker comes with a stainless steel interior and four removable racks. 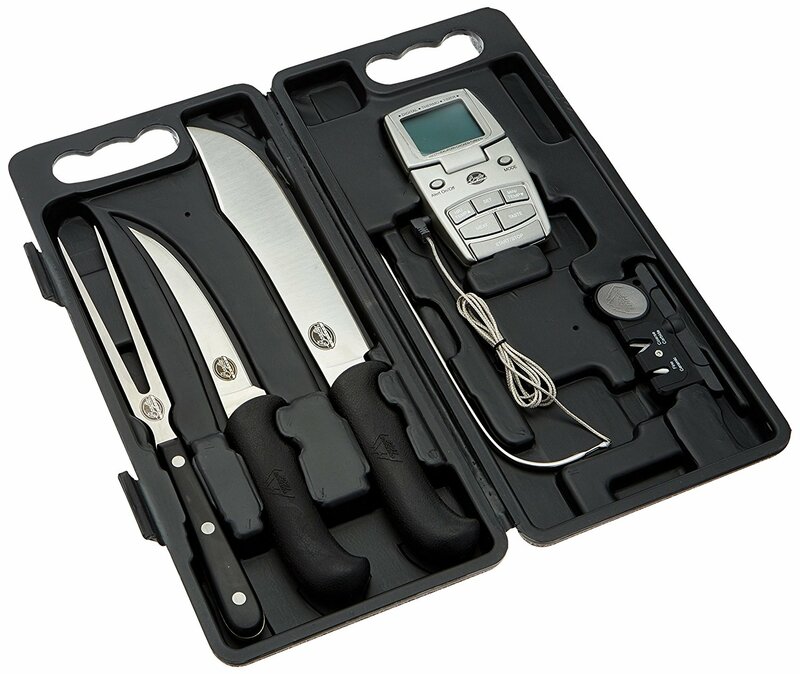 It has simple to use temperature controls which provide a consistent and controlled smoke and temperature. 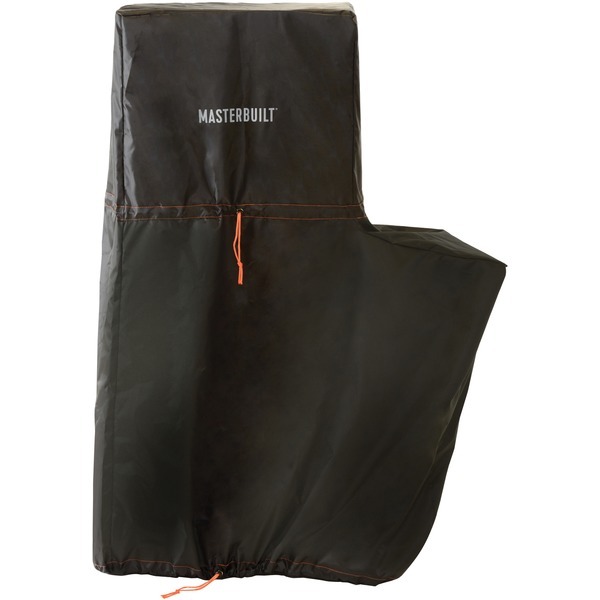 The cmoker can also be used as a slow cooker or a slow roasting oven. 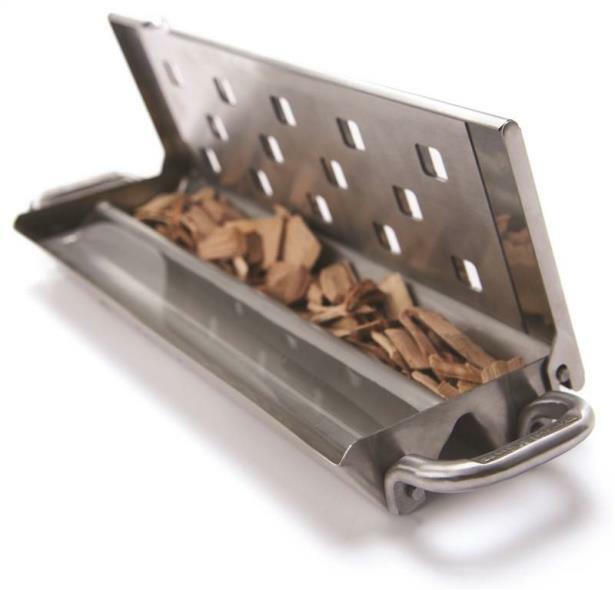 COOKPRO� STAINLESS STEEL� STOVETOP SMOKER� HWCP584 Professional stainless steel stovetop smoker, uses real wood to smoke assortment of foods without the hassel. 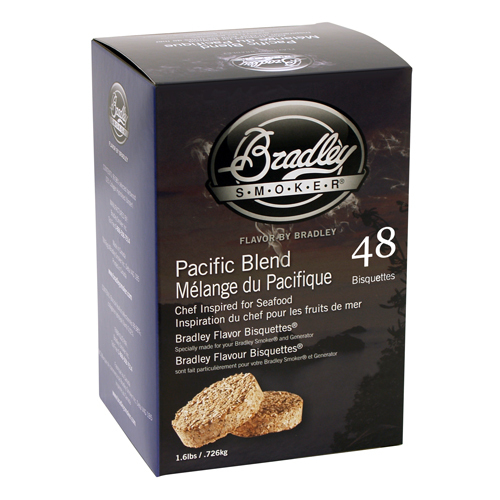 Bradley's Pacific Blend Bisquettes 48 Pack are rendered from natural hardwoods without additives, producing a clean smoke flavor. The smoker consumes bisquettes at the rate of approximately one every 20 minutes. The Pacific Blend is chef-inspired for fish and seafood and features a light clean flavor.